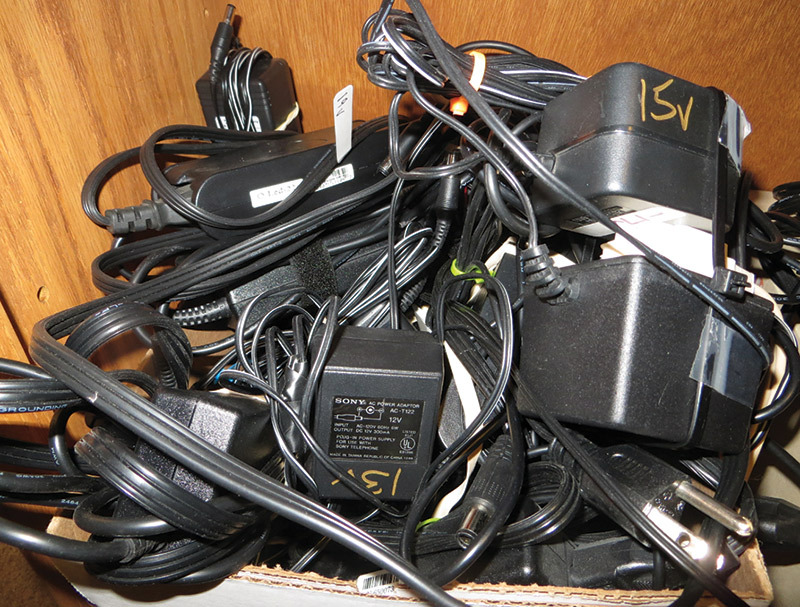 What You Don't Know about Your Power Source may be the Problem! Even among the same type of source, there can be very big differences in their properties and performance. 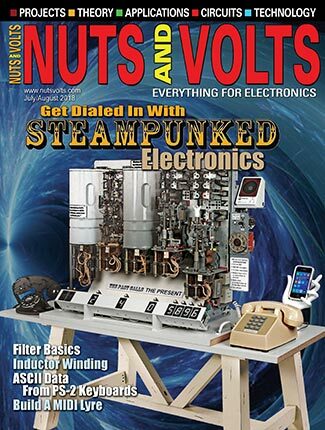 Let’s look at the most important features we should care about for any power source, how to measure them, and what to expect. 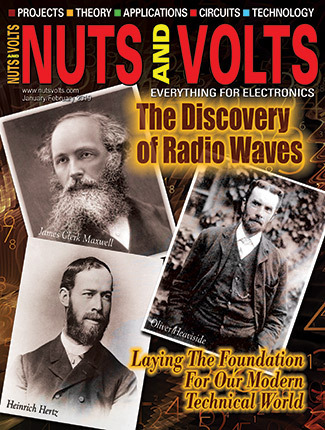 The poster child we’ll use to explore the properties of a power source is a 12V wall wart, shown in Figure 1. We’ll use it to illustrate the tests we’ll run, and analyze the features to look for. Then, we’ll apply these tests to the other types of sources and look at what to expect. You will never look at a power source the same again. I have a box of extra wall warts I’ve been collecting, and use them over and over again. Figure 2 shows some of that collection. Look on the outside of any wall wart and you will see a rating for the DC output voltage and the current rating. You can see some of these values in the figure. Don’t take these numbers too seriously. They are more of a guideline. Before you use the wall wart — or any power source — you’ll want to characterize it using the tests described here. 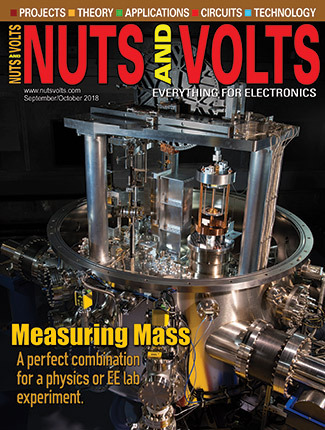 The system I used to perform the voltage measurements in this article is shown in Figure 3. 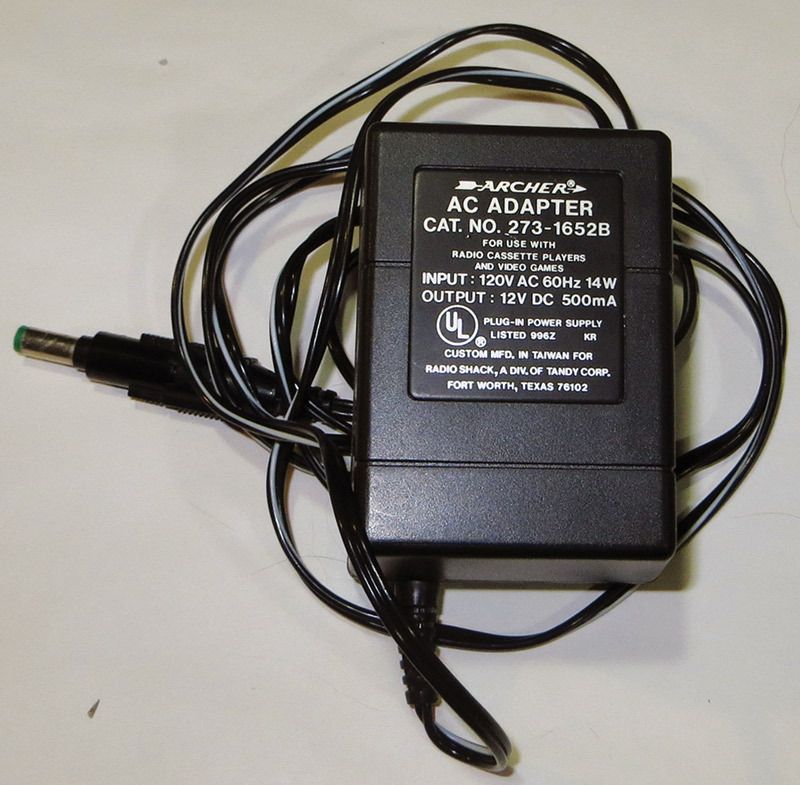 The scope is set up to measure the unloaded voltage from a wall wart, using a simple power plug to connect to the wall wart. Channel 1 was set for DC, 1 megohm input, and channel 2 was set for AC coupled input. 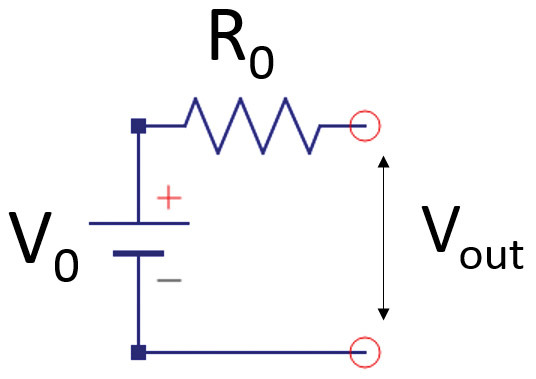 The measured DC and AC ripple from this unloaded wall wart is shown in Figure 4. The scope’s user interface allows me to customize the information displayed to quickly get me the answer I’m looking for. 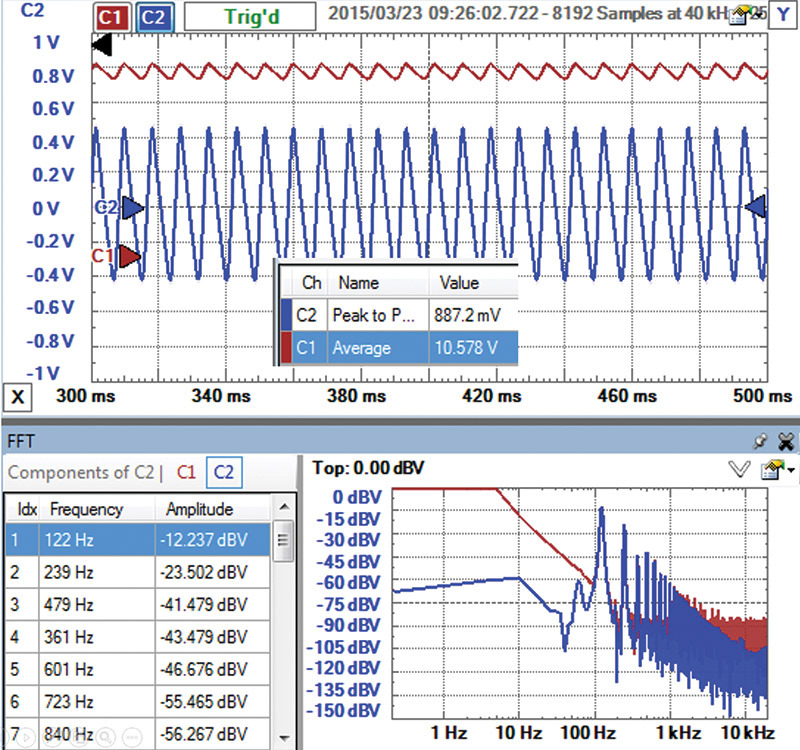 The peak value of -27.5 dB for the 122 Hz component is really a voltage amplitude of 10^(-27.5/20) = 45 mV. 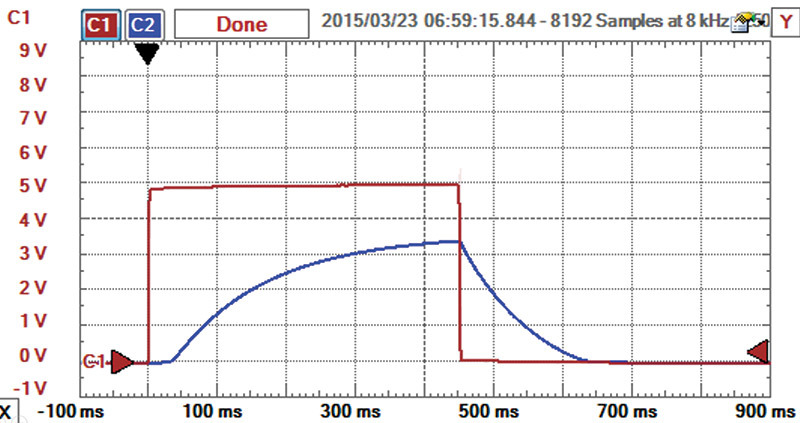 However, we measured a peak-to-peak value of 173 mV in the time domain. Taking half of this as the amplitude would be 87 mV — almost twice the 45 mV we get from the spectrum. 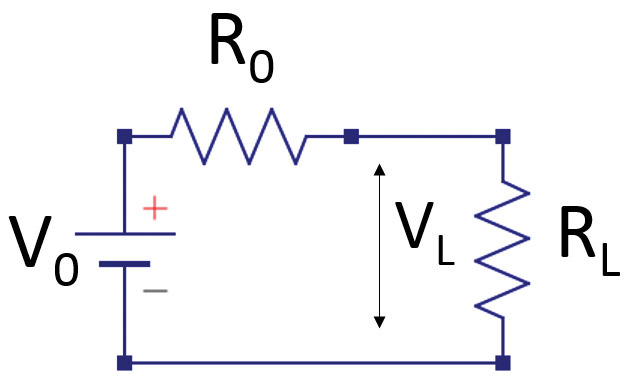 If the application calls for 12V at 500 mA, the equivalent resistive load is about R = 12 V/0.5 A = 24 ohms. 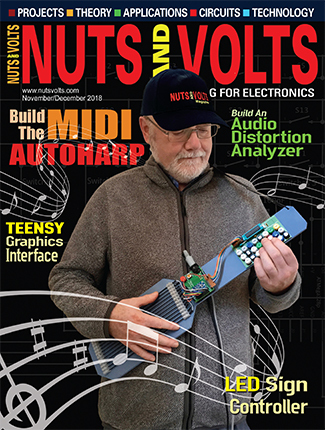 To handle this power, I mounted six one watt 50 ohm resistors on an aluminum heat spreader as shown in Figure 5. FIGURE 5. 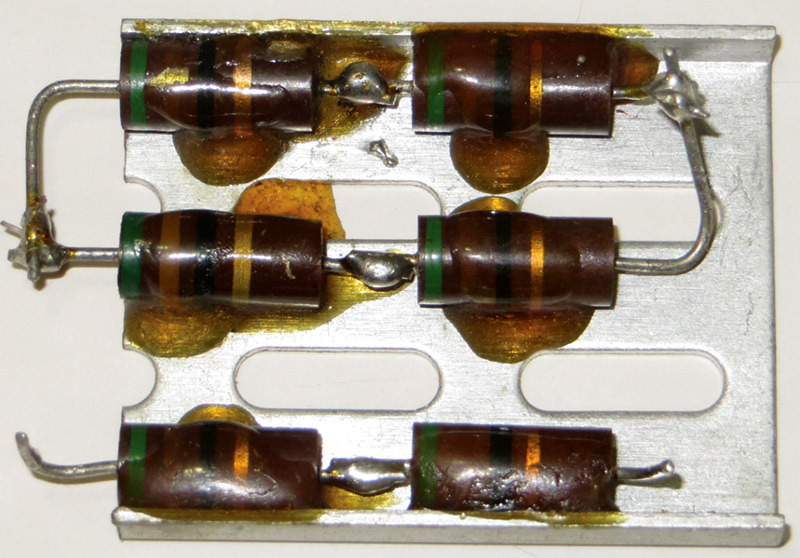 An array of one watt resistors on a heat spreader capable of dissipating 10 watts. FIGURE 6. 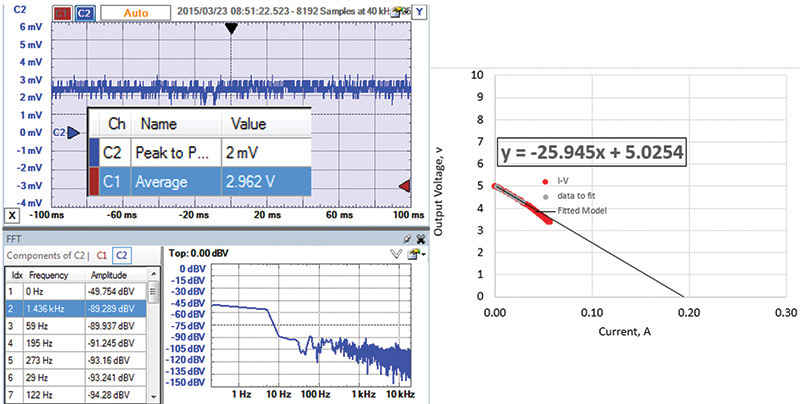 Measured DC and AC voltage response of the wall wart, nominally rated for 12V and 500 mA with a 25 ohm load. The performance is far from the rated spec. To measure these features of any supply, just measure the voltage of the supply unloaded, then attach a known resistive load (watch out for smoke) and measure the voltage loaded. After a little arithmetic, you have the internal DC voltage and the internal resistive output. Need a 12V source when it draws 500 mA? Don’t use this wall wart. In fact, when it draws more than 225 mA, the voltage will be below 12V. Unless you have characterized your wall wart, take the rating stamped on its outside only as a guideline — not a hard and fast performance spec. Since I am enamored with the power of Arduinos, I decided to use one at the heart of my automated system. 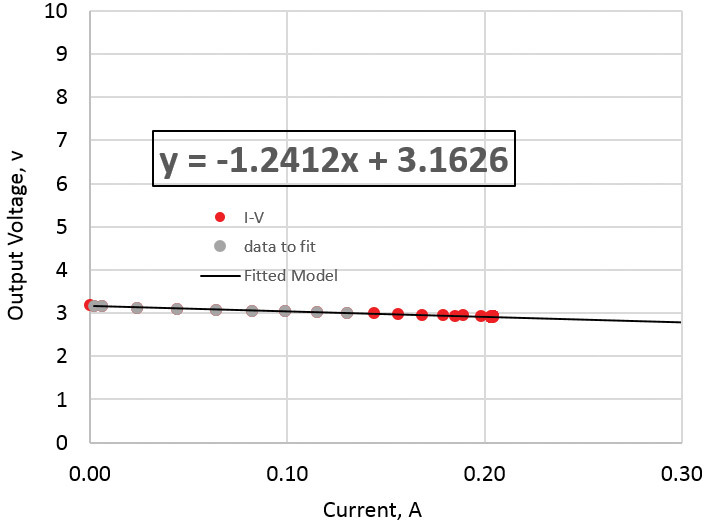 If I can change the current draw of the power source and measure the supply voltage as it draws current and the current load at the same time, I can plot the I-V curve. This should look like a straight line, with an intercept at the DC voltage and a slope equal to the internal resistor. From this curve, I can fit these two terms. FIGURE 9. 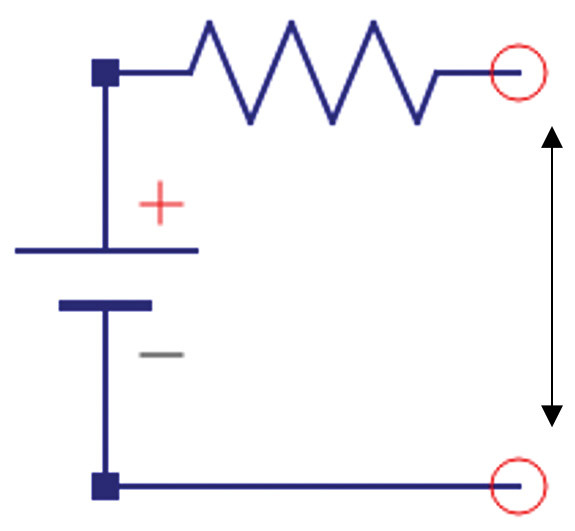 Transistor follower circuit with an RC integrator. 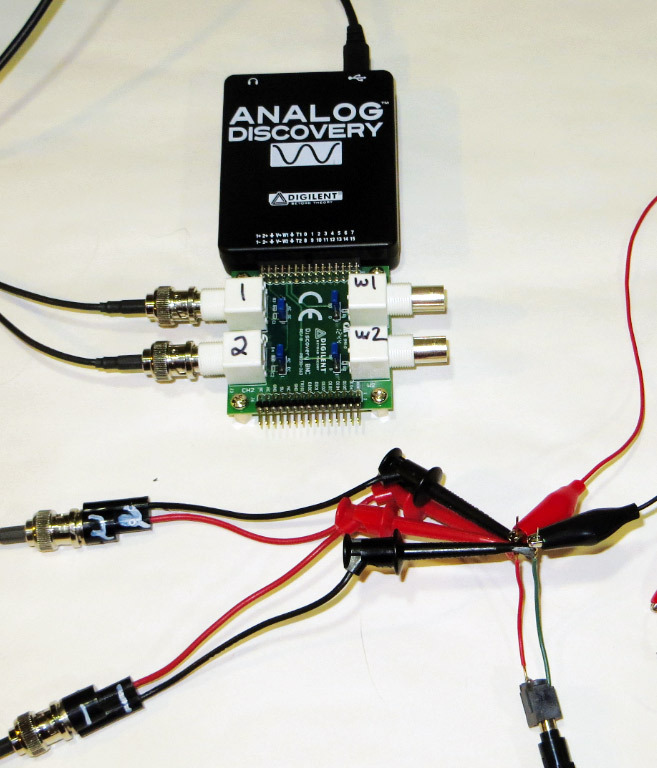 I know I can set up an Arduino to sample the analog inputs every 10 msec. For about 50 measured points during the ramp-up, this is an on-time of about 0.5 sec. As long as the current is on for just one second every so often, I am not worried about the power consumption in the resistor. Since many power sources are 15V or more, I used a voltage divider circuit to offer voltage drops from 1x, 0.5x, and 0.25x. This scaled the supply voltage to a range the analog input pin could handle. I use enough voltage drop to keep the maximum voltage on chan2 less than the 3.3V reference. FIGURE 12. 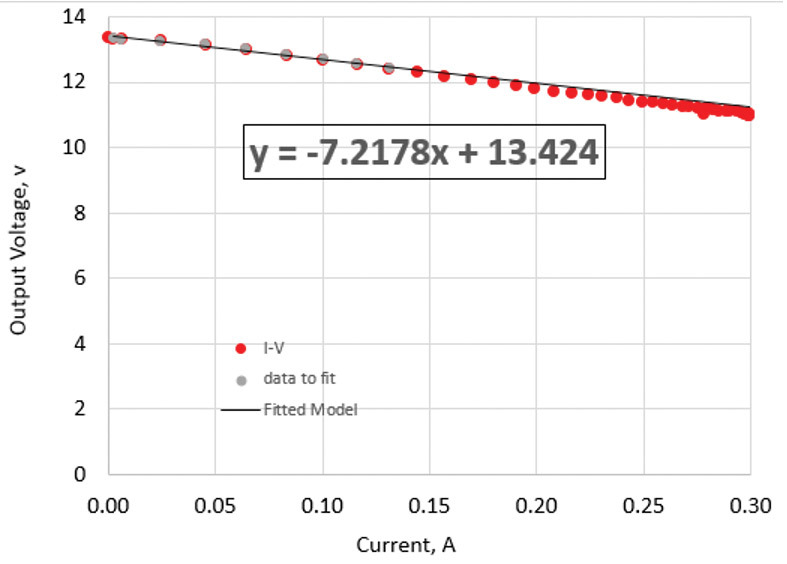 Measured I-V curve for the wall wart, showing the fitted values of the 13.4V open circuit load and 7.22 ohm output load impedance. This clearly shows how the output voltage of any power supply decreases with added current draw. The internal resistance is a good metric of how much voltage drop to expect. We can see that the model for a constant internal resistance is a pretty good one. The 7.22 ohm internal resistance measured with this automated system is very close to the 7.1 ohm resistance I measured manually. Not all wall warts are created equal. 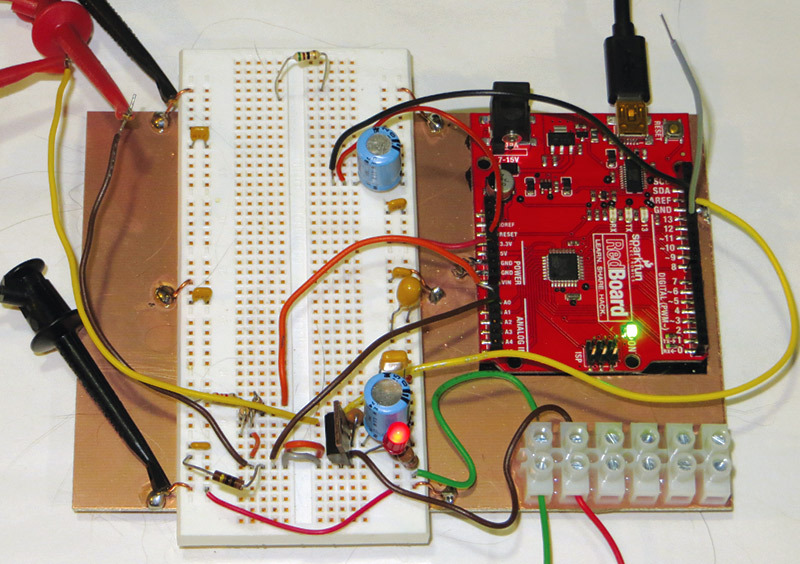 I routinely use a 9V wall wart from SparkFun all the time. It is rated for 9V at 650 mA. Figure 13 shows the I-V curve and the AC ripple noise when loaded by 17 ohms, or drawing 530 mA. The peak-to-peak noise is remarkably low. 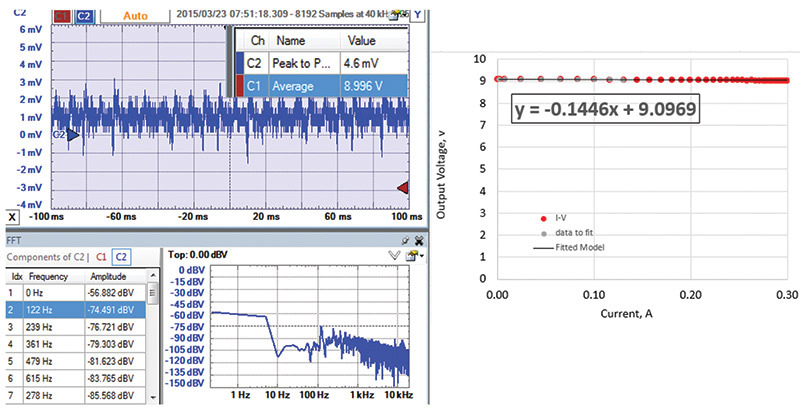 The peak-to-peak voltage is 4.5 mV out of 9V, or less than 0.05% even loaded down. Its output impedance is 0.14 ohms. The USB port is often used to supply current. 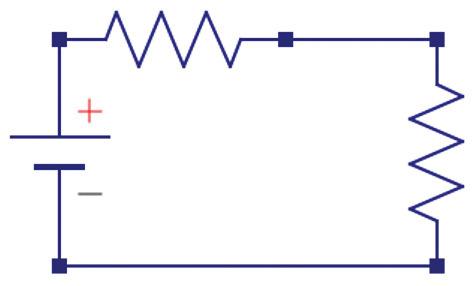 The measured I-V curve and AC ripple with a 42 ohm load drawing 120 mA is shown in Figure 14. It is a remarkably accurate 5V regulated supply with an output impedance of only 0.4 ohms. 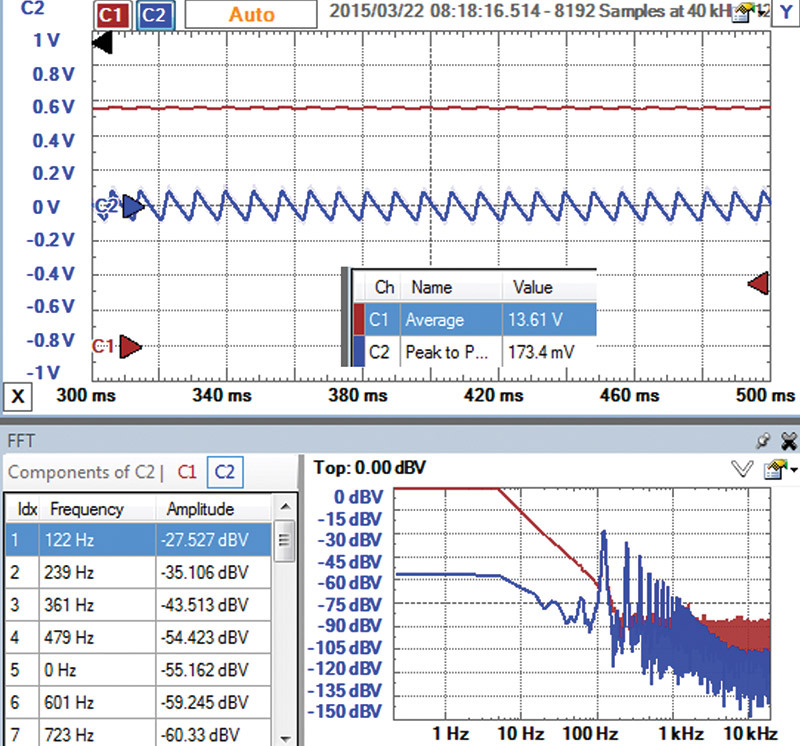 The AC ripple of the USB source I used was 4 mV peak-to-peak, with no discernable peak at 60 Hz or 120 Hz. Sometimes one of the digital output pins of the Arduino is used to power a component. Figure 15 shows its I-V curve and AC ripple noise when set to HIGH. The output impedance of an Arduino pin is about 26 ohms. With a 40 ohm external resistor — or a total of 66 ohms — the current draw was 5V/66 ohms = 72 mA current. 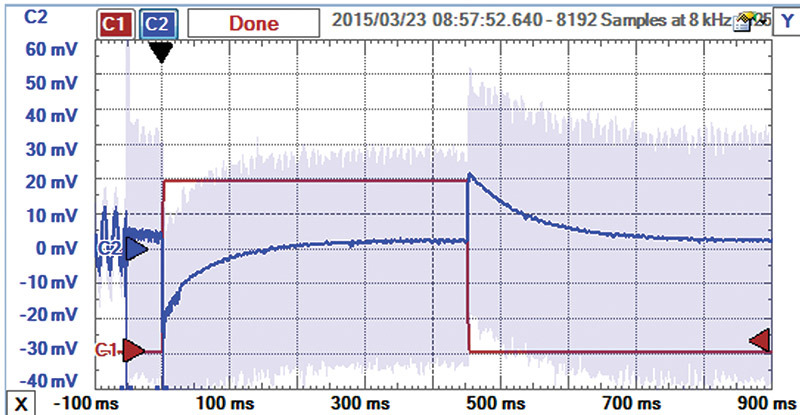 The ripple noise was about 2 mV peak-to-peak, but only a very small peak at 60 Hz. The voltage amplitude of the 60 Hz sine wave component is 10^(-89.3/20 )= 34 µV out of 5V. I surveyed a number of 9V batteries and found the typical output impedance to be about 2.4 ohms. An example is shown in Figure 16. However, one battery — nominally also new — showed an output impedance of 8.5 ohms. This is just another example of the guideline: Buyer beware. Two AAA batteries in series had an output resistance of 1.24 ohms. This implies the output impedance of one AAA battery would be about 0.62 ohms. 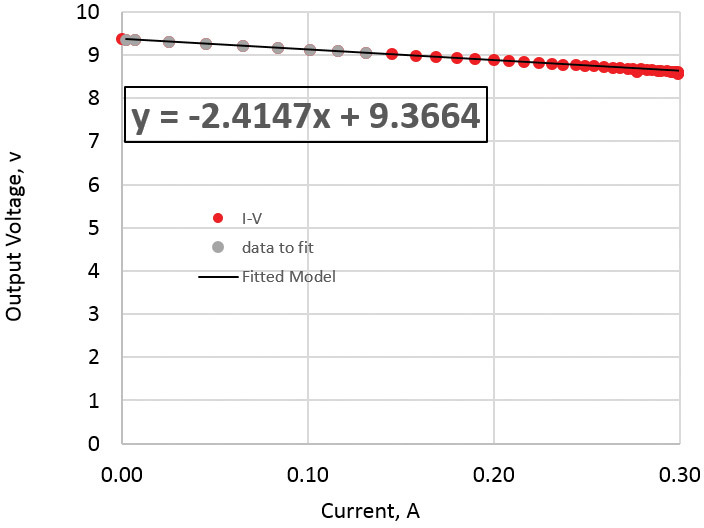 Its IV curve is shown in Figure 17. What is the current requirement for your application? Given the voltage you are going to use, what is the power dissipation you expect, and can you handle this? What is the unloaded output voltage and source resistance of the power source you plan to use, and what will be the loaded output voltage? Is this adequate? How much ripple noise is there on your power supply and is this okay in your applications? If we measure voltage in volts, current in amps, and resistance in ohms, the power dissipated in the resistor is in watts. 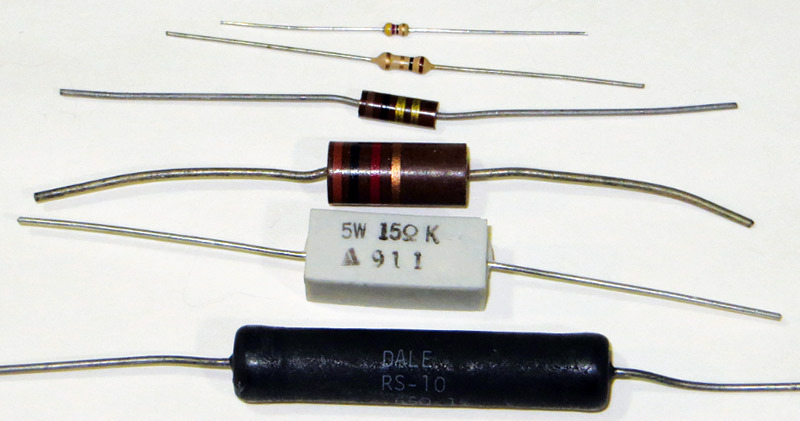 Resistor sizes are generally based on the power they can easily dissipate before getting too hot. Small physical size resistors have a small surface area and can't get rid of the heat fast enough before getting hot. Large body sizes have a large surface area and are more efficient at getting rid of the heat. If you use a resistor less than about 500 ohms, be sure to put in the numbers to check if power will be a concern. 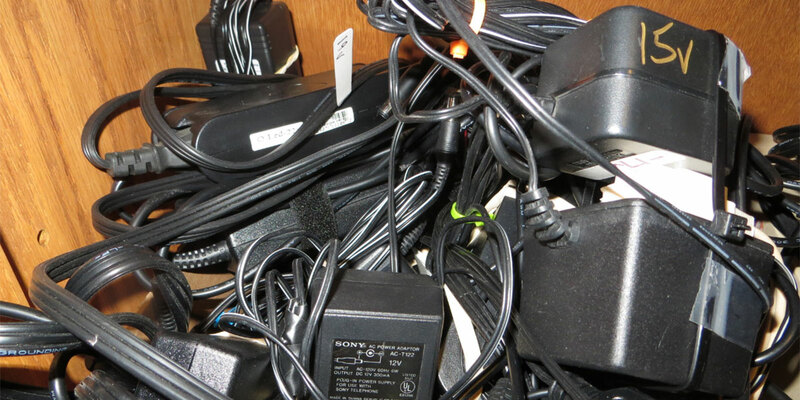 If it is, watch out for smoke or engineer a solution that can adequately dissipate the power.